Making "Reindeer Food"This is a guide about making "Reindeer Food". 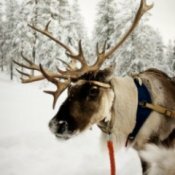 Making "Reindeer Food" is a fun activity to do with your kids. This sparkly treat can be sprinkled on your lawn on Christmas eve to feed Santa's reindeer. 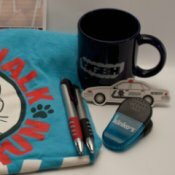 Removing Logos from Promotional ItemsThis is a guide about removing logo from promotional items. Many companies give away useful items with their logo printed on them. Although we may want to use these items, we don't always want to advertise for them. Louisiana Christmas CharitiesThis is a guide about finding Christmas charities in Louisiana. 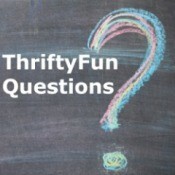 Every year ThriftyFun gets numerous requests from people looking for help for their families for Christmas. Since we do not have the resources to offer direct help, we have set up this guide to help people find charities in each state. Making a Pop Bottle AngelThis is a guide about making a pop bottle angel. 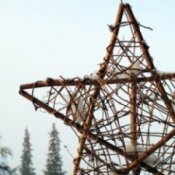 Looking for a simple recycled Christmas craft. Try making a pop bottle angel. This craft uses easy to find materials, some of which you probably already have. Let the kids loose on this one and you may end up with a choir of Christmas angels. 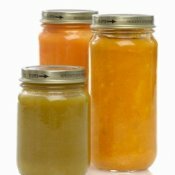 Uses for Baby Food JarsThis is a guide about uses for baby food jars. When the baby food jars are emptied out there are a lot of ways to reuse them. From storage to craft projects baby food jars have all kinds of other uses. Indiana Christmas CharitiesThis is a guide about finding Christmas charities in Indiana. Every year ThriftyFun gets numerous requests from people looking for help for their families for Christmas. Since we do not have the resources to offer direct help, we have set up this guide to help people find charities in each state. 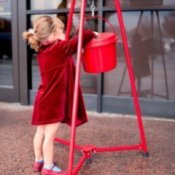 Kentucky Christmas CharitiesThis is a guide about finding Christmas charities in Kentucky. Every year ThriftyFun gets numerous requests from people looking for help for their families for Christmas. Since we do not have the resources to offer direct help, we have set up this guide to help people find charities in each state. Kansas Christmas CharitiesThis is a guide about finding Christmas charities in Kansas. Every year ThriftyFun gets numerous requests from people looking for help for their families for Christmas. Since we do not have the resources to offer direct help, we have set up this guide to help people find charities in each state. Saving Money on an American Girl DollThis is a guide about saving money on an American Girl doll. 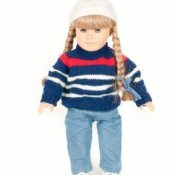 American Girl dolls are very popular with little girls and collectors these days. they are very well made and nicely detailed but the price can be had to get around. Homemade Christmas CrackersThis is a guide about homemade Christmas crackers. Christmas crackers are a common holiday tradition in numerous countries. When pulled apart, they make a popping noise and a small gift is revealed. Making them at home is easy and a great kid-friendly activity. Homemade Outdoor Christmas DecorationsThis is a guide about homemade outdoor Christmas decorations. Outdoor Christmas decorations can be quite expensive. 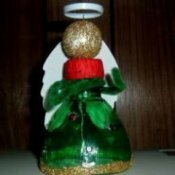 Making your own decorations can be fun and save you money. 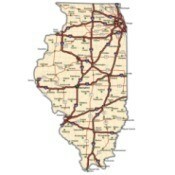 Illinois Christmas CharitiesThis is a guide about finding Christmas charities in Illinois. 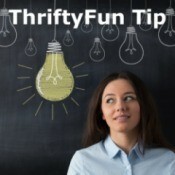 Every year ThriftyFun gets numerous requests from people looking for help for their families for Christmas. Since we do not have the resources to offer direct help, we have set up this guide to help people find charities in each state. 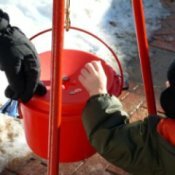 Idaho Christmas CharitiesThis is a guide about finding Christmas charities in Idaho. Every year ThriftyFun gets numerous requests from people looking for help for their families for Christmas. Since we do not have the resources to offer direct help, we have set up this guide to help people find charities in each state. Shipping BreakablesThis is a guide about shipping breakables. Shipping breakables can be be a worrying experience, especially if what you are shipping is important to you or valuable. 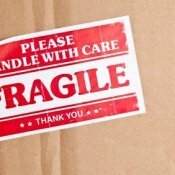 Pack your fragile items well and you can shipping them with peace of mind. Treating a Dog's Ear InfectionDogs with drop ears, in particular, can be prone to recurring ear infections. In addition to the obvious trip to the vet, there are additional measures pet owners can take. 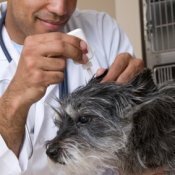 This page has advice about treating a dog's ear infection. Putting Lights on a Christmas TreeThis is a guide about putting lights on a Christmas tree. 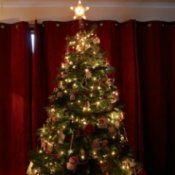 Whether you like a rainbow of colors or classic white lights, decorating your Christmas tree with lights is a tradition many of us look forward to. There are many ways to put the lights on your tree to make it look just right. Storing Bird SeedThis is a guide about storing bird seed. 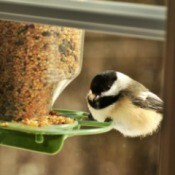 Attracting birds to your garden is a rewarding pastime. Once you have purchased those large sacks of seed you will want to find a convenient way to store the seed. Iowa Christmas CharitiesThis is a guide about finding Christmas charities in Iowa. 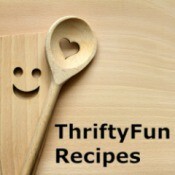 Every year ThriftyFun gets numerous requests from people looking for help for their families for Christmas. Since we do not have the resources to offer direct help, we have set up this guide to help people find charities in each state. 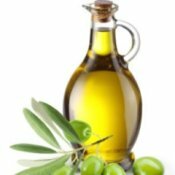 Cooking Oil TipsThis is a guide containing cooking oil tips. We use cooking oil for many recipes. Some are better for cooking at high temperatures such as when making stir fry. Others add a nice flavor to your dish. Recycled Wrapping Paper IdeasThis is a guide about recycled gift wrap ideas. Reusing gift wrap or wrapping gifts in recycled paper is a great way to not add more paper to the landfill. 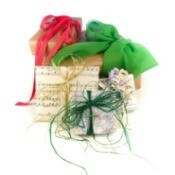 Share your ideas for using recycled or reusing gift wrap. 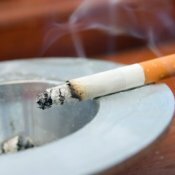 Removing Cigarette Smoke Odor from LeatherCigarette smoke permeates everything in a smokers household. Removing the odor of cigarettes can be difficult, especially from anything leather. This is a guide about removing cigarette smoke odor from leather. 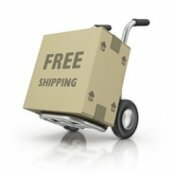 Saving Money on Shipping ChargesThis is a guide about saving money on shipping charges. Ordering things online is a great way to save time and money. If you are not careful though, the shipping charges can easily eat up most or all of that savings. 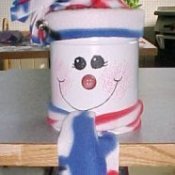 Making a Coffee Can SnowmanThis is a guide about making a coffee can snowman. Recycled crafts are great fun to make and a good alternative to expensive decorations. Coffee cans are a popular container to reuse and recycle. They can be a great creative starting point for making a cute Christmas snowman. Making a Paper Plate SnowmanThis is a guide about making a paper plate snowman. 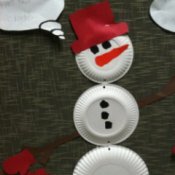 Paper plate snowman are a great kids craft. Using a few simple supplies, you can easily make these adorable decorations at home. Teaching Kids About Holiday GivingThis is a guide about teaching kids about holiday giving. It is very rewarding to give to others during the holidays. This is a great opportunity to teaching your kids about how to think about others and help people that are less fortunate. Packing for Summer CampThis is a guide about packing for summer camp. Summer camp is a great opportunity for kids. Making sure that everything they need gets packed is important. This is a guide about packing for summer camp. 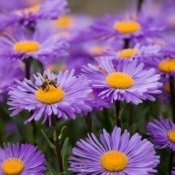 Growing AstersThis is a guide about growing asters. Asters are hardy perennials that bloom in late summer and fall. They come in a variety of colors, ranging from blue to pink, and in various heights. These pretty daisy like flowers make a welcome addition to many sunny flower gardens. Preparing Your Home for GuestsThis is a guide about preparing your home for guests. There are many ways that you can prepare ahead of time for having guests stay at your house. Planning ahead will reduce stress and help make your guests more comfortable. 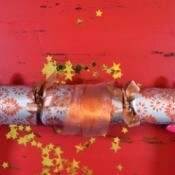 Saving Money on Wrapping PaperThis is a guide about saving money on wrapping paper. With Christmas, birthdays and other special events it's easy to go through a lot of wrapping paper in a year. All that wrapping paper can really add up. 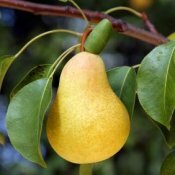 Growing PearsThis is a guide about growing pears. A pear tree can can be a wonderful addition to your garden. Your family and friends will love to enjoy your harvest of the these sweet and delicious fruit. Making a Fishing Gift BasketThis is a guide about making a fishing gift basket. Gift baskets are a great gift idea and can be a lot of fun to put together. 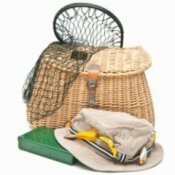 There are many things that can go into a fishing themed gift basket. Organizing Your Christmas Card ListThis is a guide about organizing your Christmas card list. Putting together your Christmas card list is an annual ritual. Organizing your Christmas card list will speed up this task and ensure that your cards are done early. 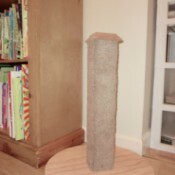 Building a Cat Scratching PostThis is a guide about building a cat scratching post. Cats love to scratch on things especially furniture. Prevent them from ruining your furniture by giving then an alternative place to sharpen their claws. 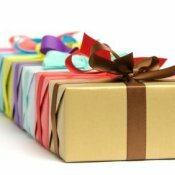 Reusable Gift Wrap IdeasThis is a guide about reusable gift wrap ideas. While very pretty, wrapping paper can be costly and is generally only used once. 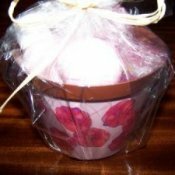 An alternative to the traditional gift paper is to wrap your gift in a reusable item such as a cloth tote, a baby blanket, or a flower pot; you get the idea. Homemade Eyeglass Cleaner RecipesSave time and money by making your own eyeglass cleaner. 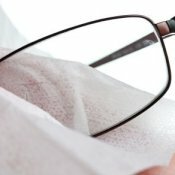 This is a guide about homemade eyeglass cleaner recipes. Displaying Christmas CardsThis is a guide about displaying Christmas cards. 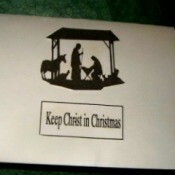 Many people enjoy displaying the Christmas cards that they receive during the holidays. If you receive a lot of cards, displaying them all can be tough. Kraft Roka Blue Spread SubstituteI've seen several requests regarding Roka Blue, so for those of you lovers looking for this discontinued product you're in luck, because I found it. Kraft Kitchen themselves swear this is the perfect substitute recipe for the original! Delicious Sweet PotatoesI just love sweet potatoes. I'm happy to say that they are very nutritious. As with other vegetables, the deeper their color, the better they are for you. This recipe is easy, and one of my favorite ways to serve this delicious veggie. Matanuska Valley Cornmeal Banana BreadCornmeal gives this lovely bread a wonderful flavor and texture. It's great lightly toasted and spread with butter or cream cheese. Cranberry SaladThis is a great holiday salad! Hot Chocolate MixBest hot chocolate ever! Tomato, Bell Pepper and Cilantro SaladFor a flavor change of pace substitute the cilantro with fresh basil, celery leaves, oregano or parsley. Vegetable MeatloafThis is not your typical dry meatloaf. It is moist and the hamburger is yummy and the vegetables add a nice change. Plantation CasseroleI grew up on this casserole. One of my favorites! Sweet Acorn SquashAcorn squash is seasonal from September to December. 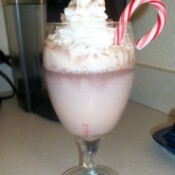 This recipe is simple and economical. It would make a perfect appetizer served with a cheese and cracker platter for Thanksgiving! Quick Minestrone Soup8 items to make a minestrone soup that you can give as a gift or have for your house in under an hour. Hearty with good aroma. Reuben Roll-UpsA favorite of my sister in-law. 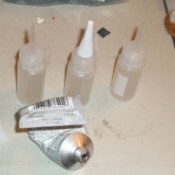 Fill Small Bottles with GlueI have some mirror pins to make, and the E-6000 glue came out in too large an amount to control it. Use Your Bank's ATMUsing your own bank's ATM will save you about $2.00 per transaction. Eliminating just one transaction fee per week will net you approximately $100.00 per year. My Frugal Life: The Coffee TestI have found it helpful, thriftily-speaking, to take a look at all the necessary things in my life and make a list of those that I just can't scrimp on. Scenery: The Brighton Wheel (UK)My friend sent me this great picture of the Brighton Wheel. We have one in my town too. 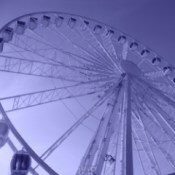 They are like the 'London Eye' but a bit smaller, of course! Help Out Your Grocery ListFor a couple of years, my husband and I had very, very little cash flow and began going hungry at times, here and there. We never had a lot of food, but it only felt bad when we had nothing but dried noodles and water; rice, if we were lucky. Metal Button BraceletsIf you have a lot of gold or silver shank buttons in your button box, especially if you are fortunate to have inherited some vintage buttons, this is a really great gift for someone. Update on Green MovingDH and I finally got moved and are in process of unpacking. I encountered some minor things which were not problems, but I would change if I had it to do over. Nativity Christmas CardsFor most card makers the upcoming Christmas event will be celebrated with handmade joy. This darling, but to the point Christmas card is easily made from just a few supplies. Lay Your Head on the Cat InsteadCats think differently than dogs. Any attempt to change what a cat wants to do is seen by them as an obstacle to overcome. The only way to thwart a cat's plan is to make it so the cat no longer wants to do the thing that is annoying you. Holiday Digital Scavenger HuntHere is an easy, free idea for your next party, a digital scavenger hunt. 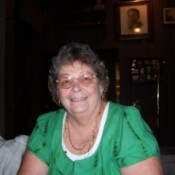 It is great for all ages and has the added benefit of providing a great mix of entertaining family memory photos. Economical Laundry SolutionsMake your own soap. So easy and economical. Stink Bug Scoop To remove stink bugs, use a paper towel cardboard tube that is stapled shut on one end and scoop up these critters and then get rid of them. Squeeze the open end of the tube slightly to flatten it. Keep Color In Your Garden Spring Through FallTo keep color in my garden most of the year, I stagger my plants so that I constantly have a supply of colorful blooms. I live in the Mid-Atlantic Region so May till November is my blooming season. Wire Hanger Christmas TreeDoes anyone have the directions on making the Christmas tree with wire hangers? Kitchen Cabinet Paint Color AdviceMy walls are pale yellow and my kitchen cabinets are white with red countertops. What color would look good for the cabinets? Christmas Charities in AlabamaI know a divorced mother of 3 who has lost her job. Her ex-husband lost his job and is on unemployment benefits.There is no money for Christmas. This family needs help. They live in Blount county in Hayden, Alabama. How can I get them help? Removing Set in Stains on Blouse CuffsDoes anyone have any ideas on how to remove set in stains on blouse or shirt cuffs? They are on different colored shirts not white. Reusing Plastic Coffee CansWhat are some good ideas for recycling the Folger's and Maxwell House plastic coffee cans/jugs? I use mine to keep compost in before taking out to the compost bin, but are there any other ideas? Choosing a Vacuum CleanerCan anyone recommend the best vacuum cleaner to buy? Buying a HamWhat is the best kind of ham to buy? Last year I bought a shank ham (boneless) and it was very dry. Finding Free Home Repair MaterialsI am unemployed and am looking for things I need around the house (for example, piping for my wood burning stove). I was wondering if anyone had an idea of where I can find a dump site that I can go to salvage other's trash as my treasure. Using Borax in a Litter BoxIs 20 Mule Team safe to use in a litter box? What Is This Plant?We always get these garden plants on Mother's Day. 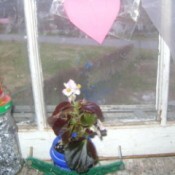 I kept a cutting of it and I keep it in the kitchen window. I have no idea what it is, but our church gives them out and the plants are different each year. Shopping for Earth Friendly Shrinky DinksI love Shrinky Dinks and have used them in the past for many kid projects such as key chains, pet tags, and small homemade toys. Getting Coupons by MailHow do I get coupons in the mail? Non Slip Coating for Tile FloorsIs there a way to increase the coefficient of friction for my tile floors? My wife and I just had our first baby and need to baby-proof the house! This includes fixing the tile flooring in the living room and kitchen. Re-setting Pleats on a Synthetic SkirtI thrifted an accordion-pleated skirt (The fabric is creased, but the pleats aren't sewn. It is sort of like a lampshade.) a few years ago. Like the dumb young 'un I was, I put it through the washer and dryer, and the pleats have mostly fallen out. Training a Dog Not to BarkWhat can you do with 2 dogs that bark all of the time? They hear anything move and they start barking. We have tried everything to get them to stop. We even got the barking collars, but they won't stay out if they have them on. Pruning a PassionflowerDo I cut back or prune my passionflower plants? They have flowered lovely for their first year and still are, as a matter of interest.